Member of the European Parliament Giorgos Grammatikakis calls for the doubling of the funding for Creative Europe and for securing dedicated funding for “Music Moves Europe” in his report on the New European Agenda for Culture. “The New Agenda for Culture is a historic opportunity for the EU to adopt a comprehensive and coherent policy for culture at European level”, stressed Mr. Grammatikakis during the presentation of his report in the Committee on Culture in the European Parliament in Brussels. However, he warned his fellow MEPs that the New Agenda would fail to meet its ambitious objectives if it is not accompanied by a sustainable and increased financial support for culture. He called for the doubling of the funding for the Creative Europe programme, underlining that “it is time for us all to move from empty grand declarations to concrete actions supporting culture”. Mr. Grammatikakis also voiced his support for the European Parliament's Preparatory Action "Music Moves Europe". Calling for it to be included in the Creative Europe programme, thus securing a steady stream of funding. He emphasised that: “Music is a truly universal language that unites different nations and cultures. Supporting different genres and expressions of music should be one of our key priorities”. 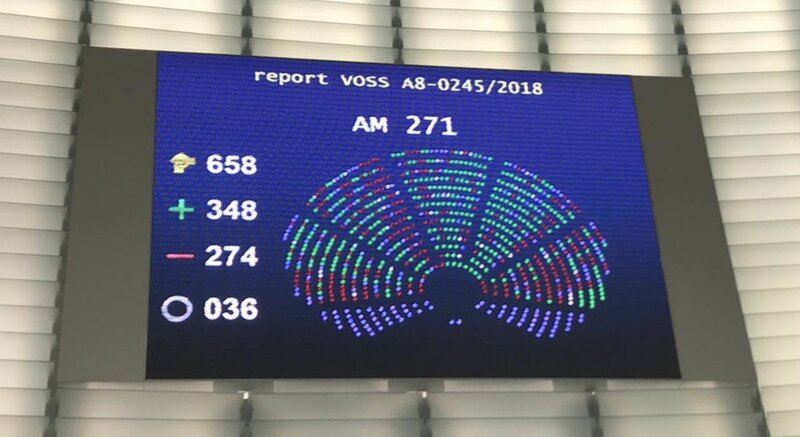 Helen Smith, Executive Chair of IMPALA, the body representing independent music companies in Europe, commented : “MEP Grammatikakis’ report is very encouraging. It correctly identifies the huge contribution of the cultural and creative sector, the need for more EU funding for this strategic industry, as well as the specific needs of the music sector. Music Moves Europe is a great initiative by the European Parliament and the EU should build on this project to secure a dedicated budget for music in the next generation of EU programmes”. Furthermore, during his speech Mr. Grammatikakis called on member states, as well as his fellow MEPs to ensure that artists and creators are fairly remunerated and their works are protected in the new digital landscape. “The advent of the digital revolution poses considerable challenges for artists and creators, already facing precarious financial conditions. Under the guise of wider access, creative works end up being exploited by tech giants, without artists or creators receiving proper remuneration. We need to create a fair digital marketplace and that is why the copyright vote last week is so important”.